5th ed. 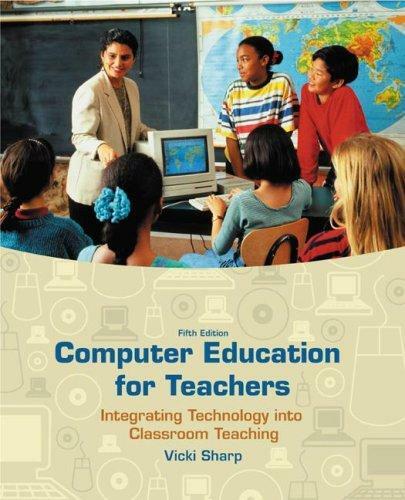 of "Computer education for teachers". Publisher: Includes bibliographical references and index.System requirements for accompanying CD-ROM: Windows: IBM PC or 100% compatible; Pentium processor; Microsoft Windows. Macintosh: Power PC or higher processor; Mac OS 9.2 or OS X with classic 9..
Includes bibliographical references and index.System requirements for accompanying CD-ROM: Windows: IBM PC or 100% compatible; Pentium processor; Microsoft Windows. Macintosh: Power PC or higher processor; Mac OS 9.2 or OS X with classic 9. The E-Library free service executes searching for the e-book "Computer education for teachers" to provide you with the opportunity to download it for free. Click the appropriate button to start searching the book to get it in the format you are interested in.